If we are to talk about the difference between men and women, one marked difference is perhaps women's decorative instinct. Aside from fashion, women have also prided themselves on being victims of decorative objects. One of the conflicts in a romantic relationship often stems from the unmentionable gravity of what surrounds us: the kinds of curtains, sofas, tables, and chairs. The female obsession of what and how to decorate confirms the frequent complaints of men who think the matter is as useless and fugitive as what to wear. Why does it matter that a lamp should stand against this side of the wall rather the opposite side of it? How is it possible that the colour of the cupboard is able to threaten to end their relationship? Don't these objects fulfil their purpose as long as they are functional? 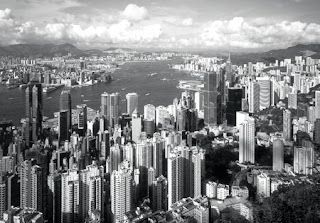 Of all international cities, what makes Hong Kong unique is perhaps its lack of architectural beauty. It is not uncommon to see skyscrapers, the symbol of modernity, being tightly packed on the streets in an disorderly manner, just like what the renowned French architect Le Corbusier remarked when he visited New York City in the 30's, that it is the sign of an "illogical city". They fail to integrate individual liberty with collective behaviours. If Hong Kong is lack of architectural beauty, it is perhaps because pecuniary interests dominate the mind-sets of our government and property developers. Beauty is none of their concerns, rather than attaching values of beauty to our lives, their trouble only lies in whether they can derive financial satisfaction from pouring concrete on certain empty lands. If we cannot affect much urban planning of Hong Kong, isn't it sensible to retain our liberty to construct the interiors of our homes? The female insistence on decoration may lie in their clear-eyed understanding of how decorative objects can influence us. Imagine the life of an ordinary businessman in Hong Kong. His daily routines of work are compromised. His days are dense with meetings, insincere handshakes, gossip, and bureaucracy. He may pride himself on saying things that he does not believe in to win over the opinions of his colleagues. He may only work towards goals that he essentially doesn't care much for but only to please his boss. Driven by financial necessity, he may have to work overtime or even moonlight to ensure the acquisition of a status that is not inimical to the developments of friendship. A visit to an ordinary home in Hong Kong offers conclusive evidence of why many people are so miserable and anxious. Many times when I visit a home I find a certain reluctance to precision and order by the home owner. The home is usually in a mess. 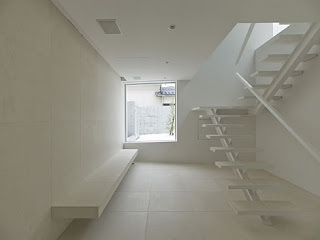 Of course, it is a mistake to assume the home owner champions the French aesthetic obsession of ease and playfulness rather than the Japanese aesthetic ideal of orderliness and stability. He has no intention to establish an argument over the intellectual debate on beauty between the two schools of thoughts. Rather than encouraging aesthetic sensitivity, his selection of furniture as well as his disoriented perception of colours hint at a psychological distress of what business and finance account for. All of a sudden, the awareness of how to select decorative objects to be placed in our homes is raised to a status of supreme importance because these material objects, often described as representations of vanity and self-indulgence, often, like a psychological mould, hold up our moods. The art critic John Ruskin once remarked, "A building must do two things: it must shelter us and it must speak to us of the things we find important and need to be reminded of." If it is true for the case of architecture, why, then, can't we say the same for decorative objects? There exists a tendency in our human nature to associate inanimate objects with human sentiments. What strikes us beautiful is often in accordance to what we feel about it. 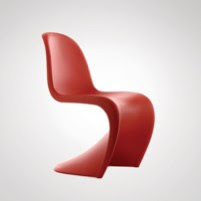 Through the promotion of a chair, a table, a door, and a bookshelf, we may find a material articulation of certain good ideas of life, of what we think is precious, just like a chair with a straight contour may imply logic and rationality as much as one with a curved contour may imply passion and emotional sensibility. Why is it important that we find such evocation through decorative objects? All too often we harbour different selves through the tedious daily routines of work. We are stripped of the chance to reveal our authentic selves. However, after a long day of work, coming home to the objects that express what we seldom publicly express, that feel what we whole-heartedly feel, may strip away the worries and anxieties that we confront during work. We need something that shores up our moods because much of the world is opposed to our allegiances. After all, we long for a home, a home that speaks to our inner selves. Many men have blamed women on their decorative instincts. The male worship of mechanics renders our society unimaginative and dull. Women, on the other hand, invite us to become aware of certain values which most of us always neglect. Science is always accounted for the promotion of civilisation, but perhaps through our minutest observation of the daily habits of women, we may find the most intelligent kind of happiness. Say Yes to Grass Mud Horse! Motherland is pleased by your concern. Our wasted youth, or is it the wasted press? Why do you hate drugs, Mr. Government? I HERD U LIEK DRUGS!!!! Respect the elderly! Sure, but all of them?! Btw here's a Big Mac, now get lost.